I read this article and found it very interesting, thought it might be something for you. The article is called Why India’s Hospitality Sector Must Win Over Parents Of The Skilled Women It Needs and is located at https://archive.indiaspend.com/cover-story/why-indias-hospitality-sector-must-win-over-parents-of-the-skilled-women-it-needs-32822. 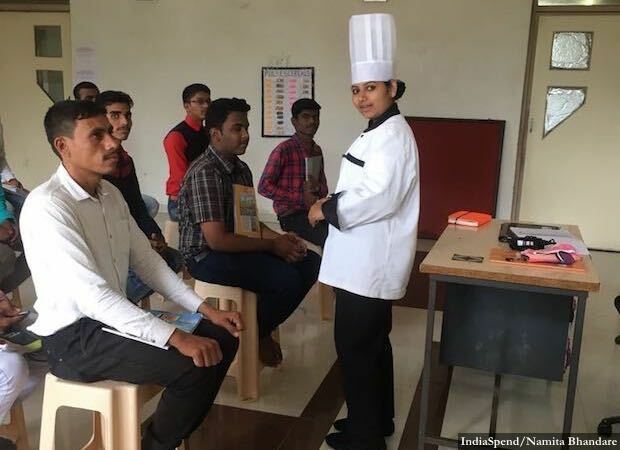 Swati Shinde, an assistant food production trainer at the Pace Hospitality Training Centre, teaches a class that at present has no women students. Swati was married soon after she completed grade VIII but she was soon back home with a newborn son and hasn’t looked back. Today she earns enough for her mother to lead a retired life. Aurangabad (Maharashtra): Banudas Sonawane is an angry man: Angry that his eldest daughter, a 19-year-old, joined a hospitality course without his permission. Angry that the girl, Anita, didn’t call home often enough while she was at the two-month long residential course–even though he had given her a paid up SIM card. Angry that the job she was offered after the course was, in his eyes, low in status. Angry that a government job did not come her way. Most of all, Sonawane is angry by an apparent correlation between girls who get jobs and love marriages. Father of five girls and one boy (the youngest), Sonawane drives a truck for a living and is pretty sure of what is going on in the country. “One of my relatives’ daughter got a job in the police,” he said. “She went off to train to be a constable. The next thing we heard was that she had got married in court. Her parents are shattered and their neighbours don’t talk to them any more.” His wife and 19-year-old daughter bent their heads as they sat quietly in the two-room dwelling in an Aurangabad slum near the rail tracks. Yet, Sonawane is ambitious for his daughter. “Anything can happen in life, so of course women must be able to stand on their feet and be independent,” he said. But he was just as clear: His daughter would not be a ‘waitress’ in a restaurant. “If she got a job as a captain or in a government hotel, it would be a different matter,” he said. Since she hadn’t, it was better for her to study and complete her graduation. Anita said she had never really left home until she joined the two-month course run by the Pace Hospitality Training Centre on the outskirts of Aurangabad. The institute is one of 100 in 16 states and across 45 cities run by the Pratham Institute. For the hospitality trade, Pratham has 22 centres across the country. Last year, 9,000 men and women were trained in various aspects of food and beverage, housekeeping and food production. The hospitality sector–hotels, aviation, tours and travels–reflects a 5-10% increase in hiring intent, according to the 2017 India Skills Report. In terms of gender diversity, 26.26% of all employees in this sector are female, according to the same report. Average gender diversity for all trades, according to the same report, is 71% men to 29% women. Part of the problem in recruiting women is a ‘mindset’ problem. “There are a lot of openings at the entry level but huge barriers to entry. There’s the issue of mobility–if the job is not near her home, then where will she live? If hotels don’t provide hostel accommodation, getting one on rent is tough. Landlords don’t want to keep single women because of the perceived burden of ensuring ‘safety’ for them,” said Medha Uniyal, programme director, Pratham Institute. It took a village to decide to send its girls to learn skills that would enable them to get jobs. Earlier, the girls would study till grade VII and then be married off. Now they have a choice. “We have seen that the institute has a very good atmosphere and it is safe to send our girls there,” said Ali. That Indian women have been falling off the employment map for several years now is both well known and cause for concern. In rural India, female labour force participation, or FLFP, fell from 49% in 1993-94 to 35.8% in 2011-12. It fell in urban India too, from 23.7% in 1993-94 to 20.5% in 2011-12, according to this World Bank April 2017 report. The single largest drop from jobs, about 53%, has occurred in the 15-24-year-old age group, the World Bank report found. If you were to look for a silver lining, it is here. India’s girls have finally caught up with the educational achievement of boys particularly at the secondary and high school levels. Sustained efforts by governments and NGOs have bridged the education gap and if fewer young girls are working, it is quite simply because they are studying. Note: Combined participation rate is the sum of the labor force participation rate and educational participation rate. The bad news is that it only explains part of the decline that occurred across all age groups. The World Bank report pins an actual figure: 62% of women in rural India who quit jobs did it for reasons other than education. In urban India, 28% quit for reasons other than attending school. (Read part 1, part 2 and part 3 of IndiaSpend’s nationwide investigation on why women are falling off the employment map). 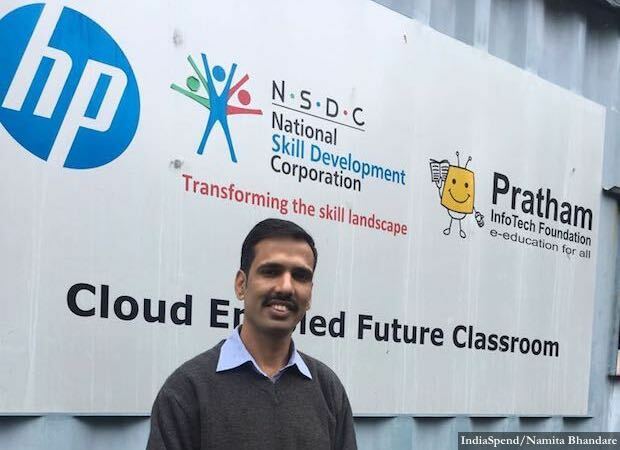 The Pace Hospitality Training Centre at Nandrabad village, 23 km north-west of Aurangabad and on the route to the famous Ellora caves, recruited 960 young men and women from nearby districts, including Ahmednagar, Yavatmal, Nashik, Dhule and Beed last year. Almost all came from disadvantaged backgrounds. Sarika and Sunil Vithal came here after their parents were killed in a road accident while on their way to a wedding. While Sunil had been working at a local dhaba, Sarika found work as a daily wage labourer in the fields owned by other people. Both are now enrolled at Pace, learning the ropes of housekeeping. Nearly 30% of students at Pace are women, and unlike the men who pay Rs 16,000, they pay a subsidised fee of Rs 2,000 including boarding and lodging, uniforms and training material. If the men can’t afford to pay Rs 16,000 upfront, they can apply to pay in installments. The Vithal siblings’ fee has been waived. Aurangabad is a bustling town made famous for once ordering 150 Mercedes Benz in a single transaction. No Mercedes are in evidence on the streets; instead women whizz by a replica Statue of Liberty on their two-wheelers, arms and face carefully covered to avoid getting tanned under an unrelenting sun. Tuition centres like Bansod’s classes, ‘the synonym of success’, and hotels jostle for space with hardware and paint shops. At the end of Pace’s two-month course, which includes basic English, computer training, grooming standards, interview preparation and other soft skills, 95% received jobs offers. Chef Swati Shinde, an assistant food-production trainer, had no such problems. As a single mother to a five-year-old son, she knew she had to get a job to survive-–just as her mother had worked after her father’s death. Yet, her choice to train as a chef is unusual for most women tend to opt for housekeeping or food and beverage. “Being a chef is hard physical labour and not all women can do it,” said Shinde who after a seven month job at Cream ‘n Crunch café now works at Pace, teaching other men and women to be a chef. It’s a job that gives her a place to stay while her mother, Ashabai Shinde, takes care of her son who studies in grade I at Sant Gyaneshwar School in Ranjangaon, a district of Aurangabad. Swati was married soon after she completed grade VIII in school. Her husband though wealthy was a drunkard who beat Swati “like a mad man”, said Ashabai. In no time, Swati was back home with a newborn son and hasn’t looked back. She managed to complete her schooling “cutting vegetables and peeling garlic for madams who worked and had no time to cut them”. Then last year she heard about the hospitality training course and thought, why ever not? Today, Swati said, she earns enough for her mother to lead a retired life–she owns her own place and rents out a part that gives her an income to take care of her personal expenses. Growing up, Swati dreamed of becoming a doctor. “But this line has given me a skill that nobody can take away, even if I lose this job,” she said. This is the fourth part in an ongoing nation-wide IndiaSpend investigation into India’s declining female labour force participation.